Do you ever wonder what makes your top performers so successful? I can tell you from experience: It’s not some magic closing technique, or even special relationships. Top-performing reps close more business because they have the discipline to do the right activities day in and day out that result in closing more deals. They know to not spend too much time crafting the perfect sales pitch or taking ownership of support requests. But top performers do these things intuitively, and unfortunately most of your sales team doesn’t do this naturally. Old-school sales leaders coached on frameworks of emotion and gut instinct. Modern sales leaders use activity-based selling to identify the best practices of their top performers and coach their team around objective data. I’m not saying you should micromanage your reps on how they should sell. You must empower them with the right skills and techniques to be successful at selling. Here are three simple steps to do just that for your coaching strategy in the coming year. 1. 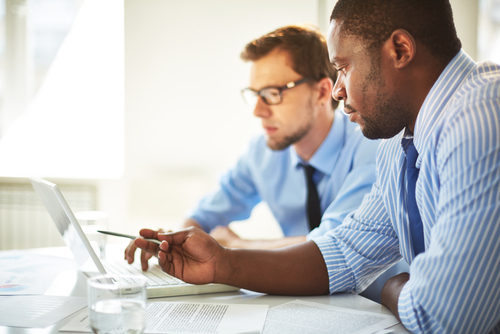 Uncover key selling activities. These are the fundamental activities that move opportunities from lead to close. Sales is a cascading chain of controllable activities that lead to a defined outcome, but you have to make sure that reps perform enough of the right activities to be successful. In the Complete Sales KPI Guide, we used our research of 1,500 sales metrics used at over 100 sales teams to uncover the best metrics for driving revenue. Every sales team’s process is unique, so the metrics that drive it must be, as well. What selling activities do you see your top performers doing that you wish the rest of your team would do more of? That’s a good place to start. Then interview sales managers and reps to get their feedback on what their key selling activities are. Even if you don’t agree with their suggestions, including them in the process generates buy-in. At first, this sounds like micromanagement. But as Jason Jordan and Michelle Vazzana explain in “Cracking the Sales Management Code,” measuring sales activities is a key ingredient to better sales management. After you reverse engineer your sales process to calculate activity metrics, you’ll need a way to track them. You can measure activity metrics manually by using a sales scorecard template. But a sales activity management system will automatically track metrics, provide guided selling on what activity reps should focus on, and alert them when pacing to goal falls behind. The important part is to make the metrics visible. A lot of companies fail when sales teams don’t manage their day around key activity metrics. If the reps aren’t seeing them all the time, then it won’t affect their decision on how they spend their time. “I think it feels very insurmountable when you’re a seller to look at the big number for the month or quarter or year, but this breaks it down into those bite-size pieces that are more manageable,” Paycor director of high velocity sales Janet Jansen told us. Paycor’s reps love the fact that they can see where they are pacing against their goals and what they need to do to catch up. With sales activity management, Paycor cut onboarding time in half and increased overall seller activity by 50 percent. 3. Coach around objective data. 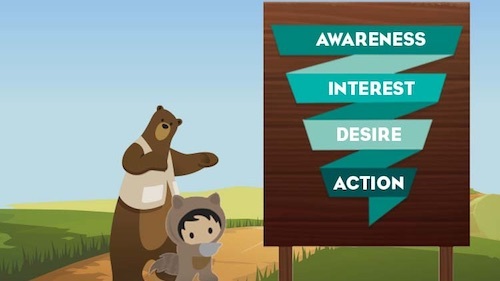 Activity data creates coaching opportunities, whether it’s helping the sales rep who’s “always busy” but doesn’t seem to close deals find focus, or training someone on how to properly log information in Salesforce, their CRM system. When activity pacing falls behind for a rep, dive into the data and see what they’re not performing enough of. A sales rep who isn’t having the right number of discovery meetings may not be finding enough qualified leads. Coach them accordingly, provide next steps and follow up a week or two later. If pacing slows for the entire team, you can quickly rally them around key initiatives with a contest or spiff. (Check out our list of inexpensive sales incentive ideas here). Just ask Jackson National SVP of national sales development Doug Mantelli. He recently told a panel at Dreamforce that his team used sales activity management to turn 35 lagging indicators into 3-4 key operating metrics and increase activity levels by 30 percent with less reps than the year prior. Doug knows that coaching the middle performers in your organization has massive ROI. “Regardless of the tools we give them, regardless of what products we give them, our top performers are our top performers. Our bottom performers tend to be our bottom performers, although not for long if you have a disciplined sales culture, right? But it’s the middle performers that … if you can get that group to move -- the movable middle -- you can make massive overall improvements in your activity,” Doug said. When planning the current year for your sales organization, use these three steps to create a truly impactful sales coaching strategy. Your reps will thank you. Your bottom line will, too.